“On behalf of AOC, LLC and its California plant, we would like to express our sincere thanks for all of the work and dedication in helping us get back on track with our Vent system. 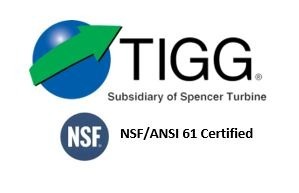 TIGG did an excellent job of taking an order with an extremely short delivery schedule and delivering nine days earlier than we had hoped for. Everyone that we worked with from your organization was extremely professional and were attentive to our deadlines for delivery and installation. The trucking firm that did the transport was also very professional, kept us informed as to expected arrival and assisted in the unloading as well. They were a great choice to work with. Dun & Bradstreet conducted a Past Performance evaluation of TIGG by having our customers fill out a survey. We are proud to announce that our customers rated us with an overall score was a 91! See the details of our Open Ratings Report below.